Originally Submitted to FurAffinity.net on Apr 3rd, 2017 06:56 AM. Before it was transferred to Inkbunny it had 51 views and 5 favorites. 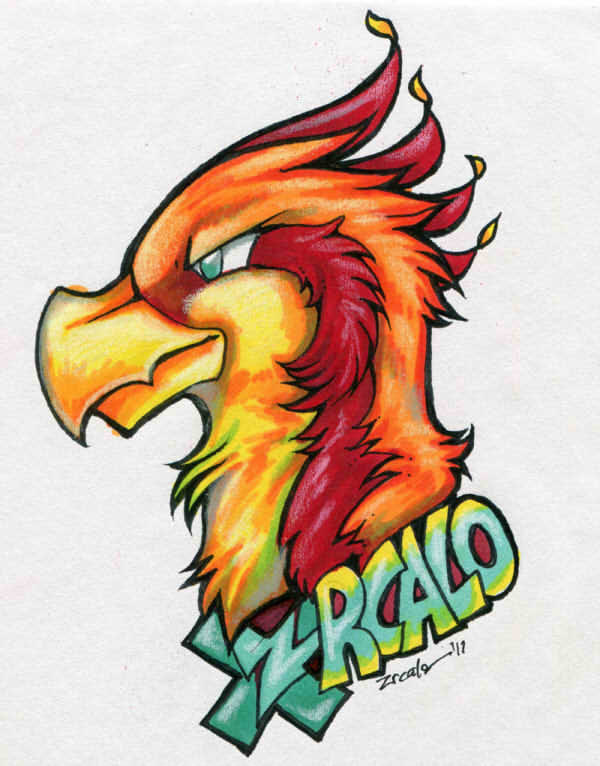 This is my phoenix character, X.
I finally made a conbadge for him! sharpie and felt marker with some white colored pencil.